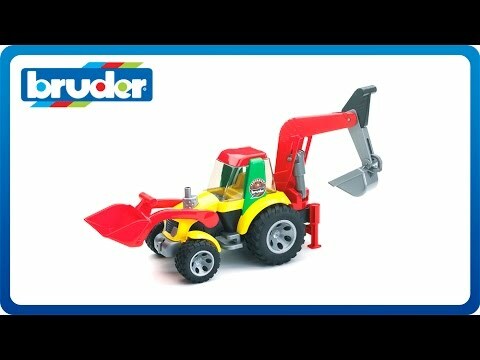 The Bruder Roadmax Toddler Backhoe Loader is a super cool, super durable tractor toy. 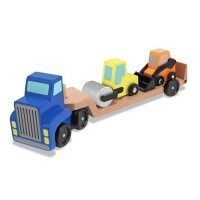 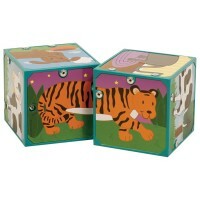 Give your industrious little one a toy they won't want to put down! 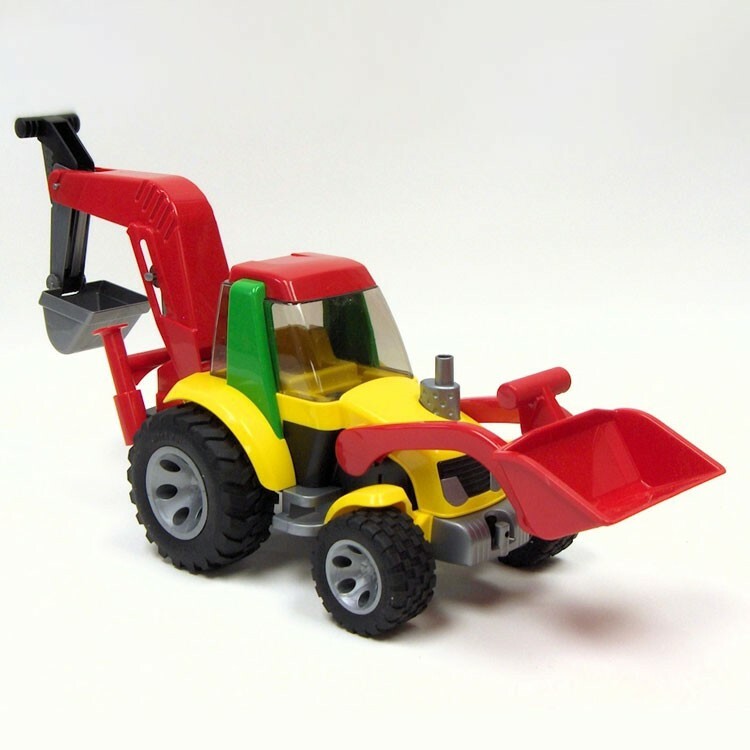 The Bruder Roadmax Toddler Backhoe Loader is a super cool, super durable tractor toy. 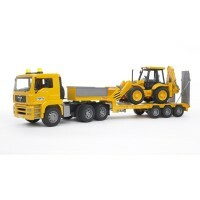 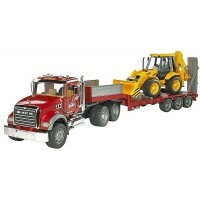 Complete with a working front loader and backhoe, this little vehicle can get almost any job done. 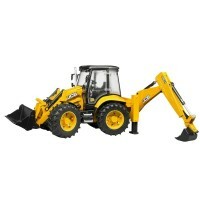 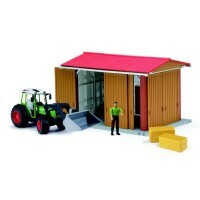 This unique Roadmax Toddler Backhoe Loader is specially designed for indoor or outdoor play. 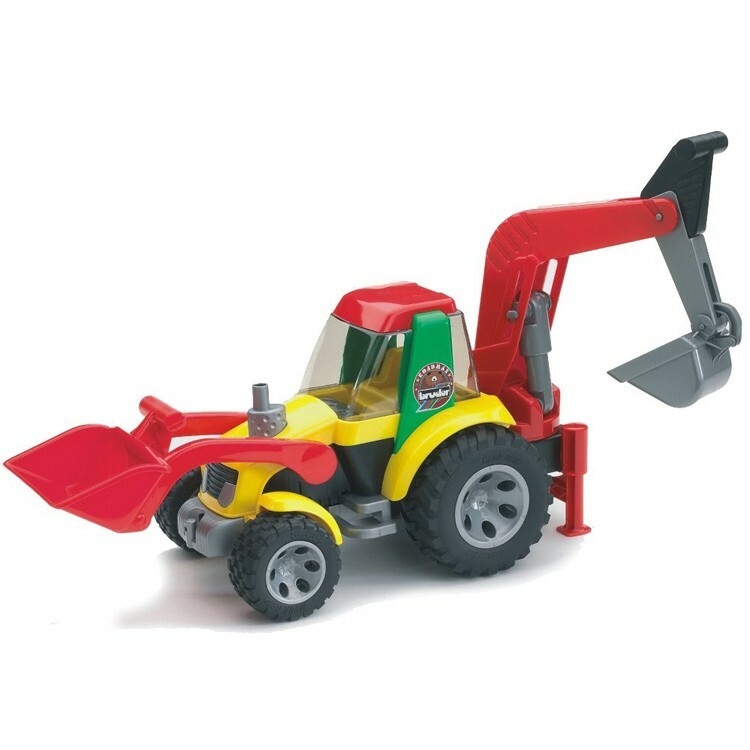 Both buckets can be used to dig or scoop and can be locked into place. 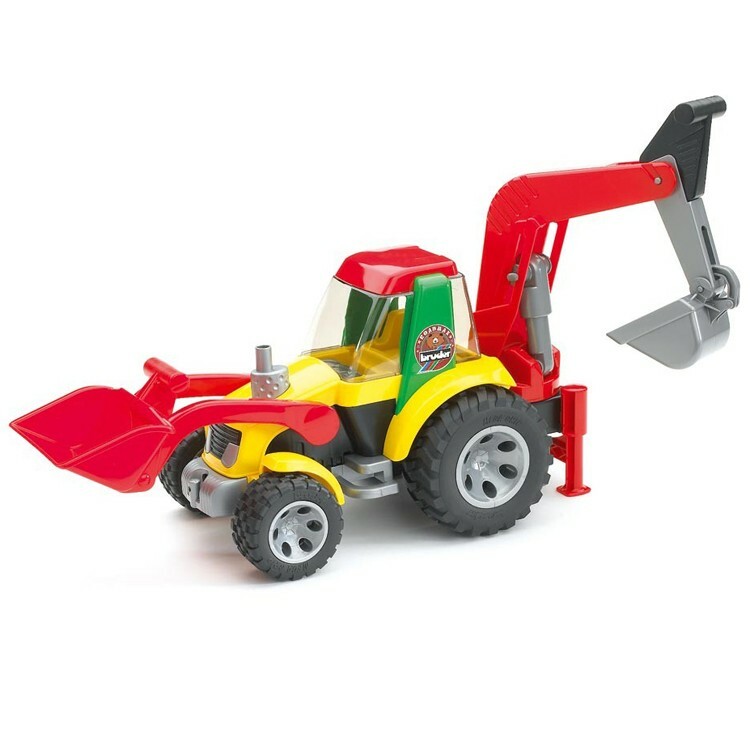 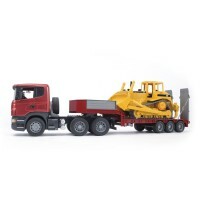 The backhoe swivels up to 360 degrees and the vehicle even features soft tires b making this toy safe for all young kids and great for taking on big jobs too! 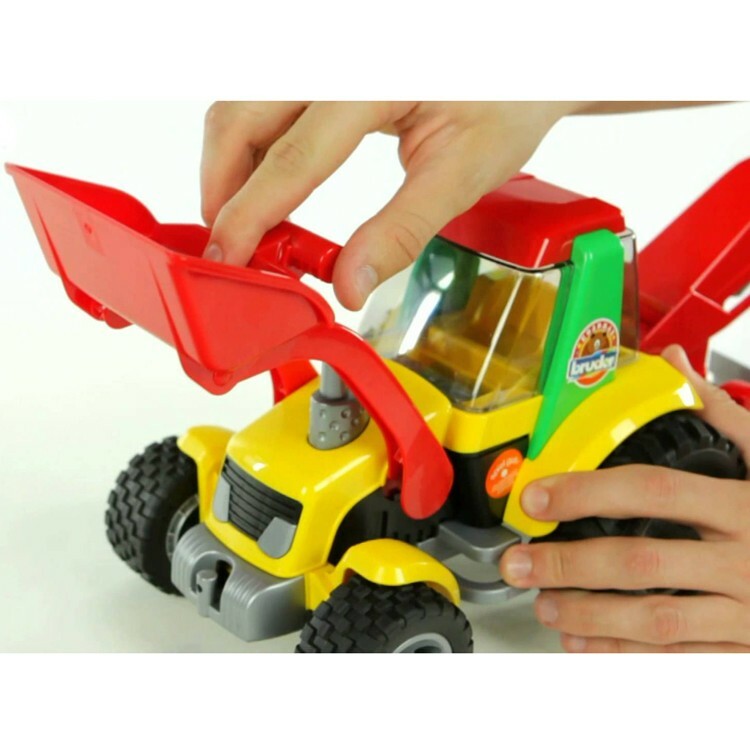 The transparent drivers cab can also be opened and features enough room for a little toy driver to sit inside. 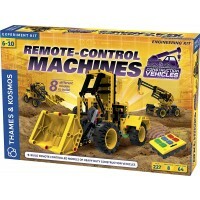 Educational Toys Planet offers this vibrant toy working machine, with realistic details, as a great way to encourage motor development, creative play and active learning. 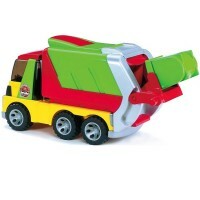 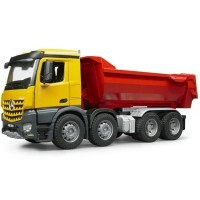 Load, dig, play! 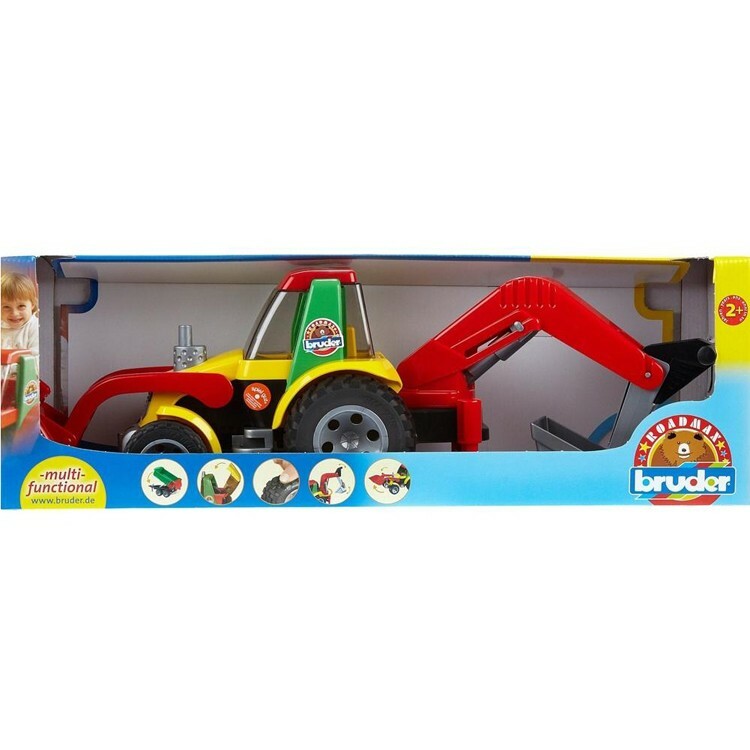 Dimensions of package 7.48" x 23.23" x 8.07"
Write your own review of Bruder Roadmax Toddler Backhoe Loader.